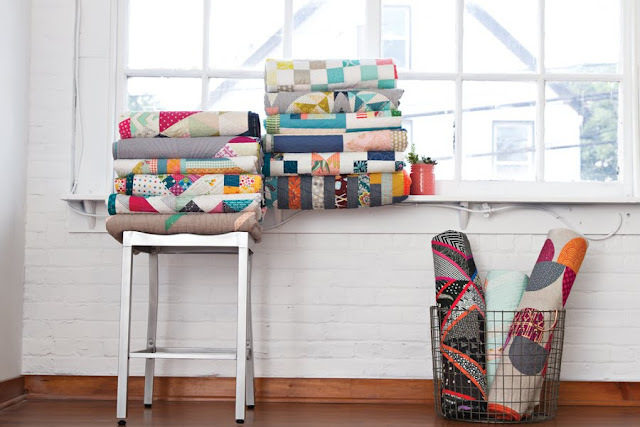 I'm always happy to help a friend out, especially when that friend is as warm, generous, and gracious as Natalie Barnes of Beyond the Reef patterns. So when Natalie reached out to ask if I would participate in a special program to help celebrate the launch of her fabric line for Windham Fabrics, Hand Maker, at Spring Quilt Market earlier this year, I was thrilled to say yes. 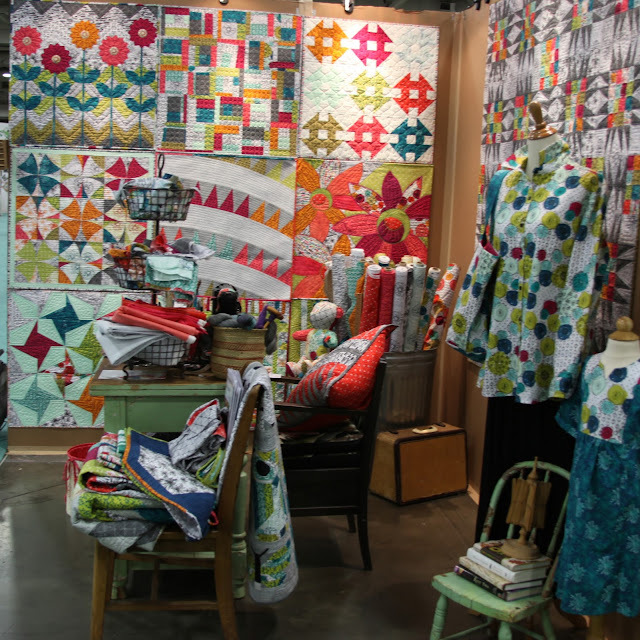 Natalie had a great idea for her booth: she asked nine different quilt makers to each make a mini quilt that represents them -- their style, technique, and aesthetic -- that measures 30” x 30” when finished. 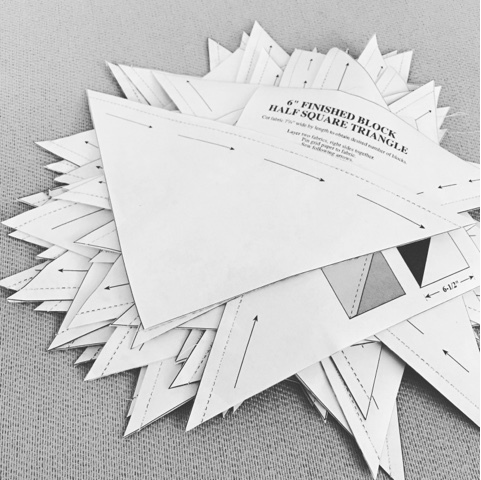 A seemingly easy task, but we all know that the fewer and looser the rules of the game are, the more difficult it can be to focus on one idea. 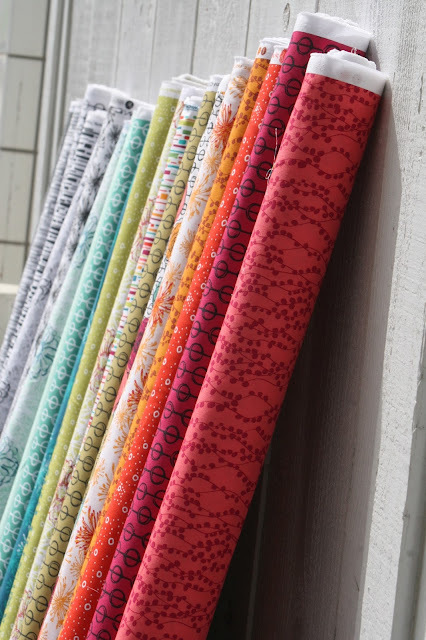 I quickly decided to go through my mental rolodex and pull from a mini quilt idea that I'd long been wanting to realize, but never had the opportunity to do so. I reached all the way back to a blog post I had bookmarked in 2011, from the Purl Bee blog. 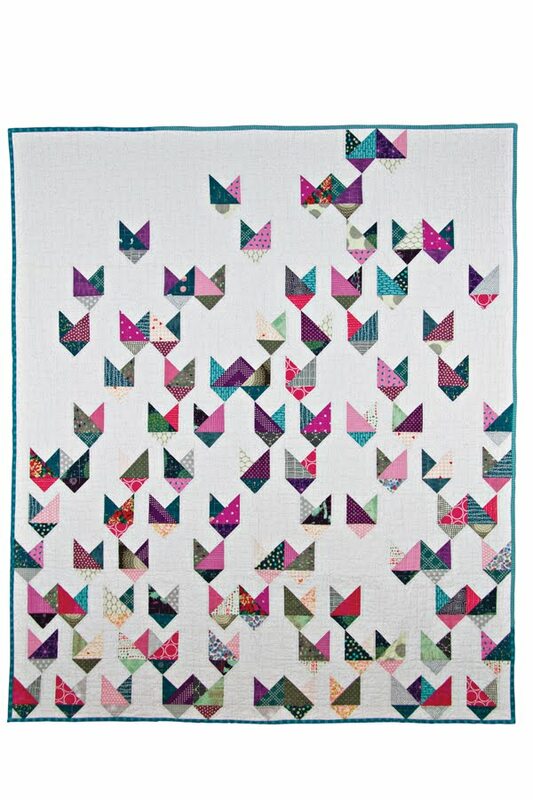 Purl had been running a 'Mini Quilt of the Month' series, and I fell in love with their March 2011 entry, the Masking Tape Quilt. Though the quilt is made up of traditional Churn Dash blocks, I've always appreciated the secondary shapes and patterns that emerge from the repeating pattern as well as the eclectic fabric mix. 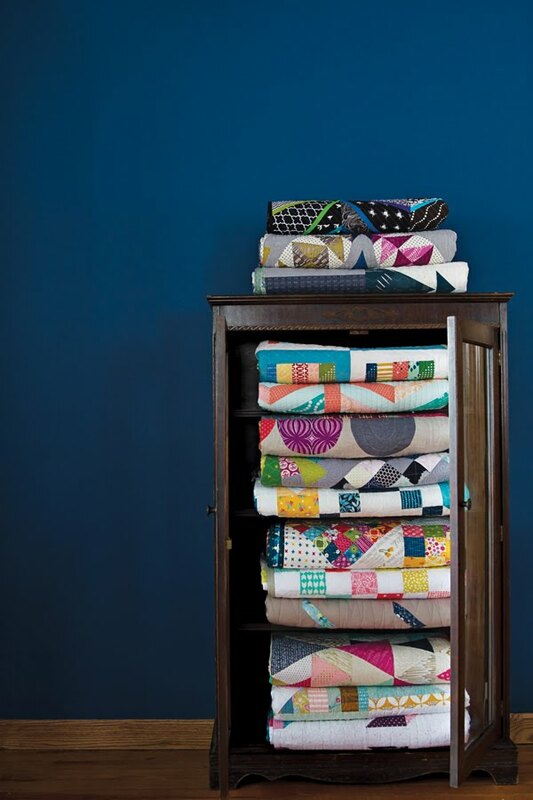 I felt it was a great way to mash together a vintage-inspired idea with modern, 'of the moment' fabrics. 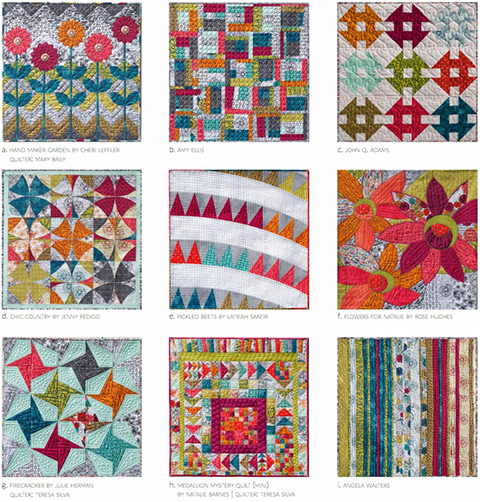 Some simple quilt math helped me to resize the blocks to 10" finished each, and I got to work. 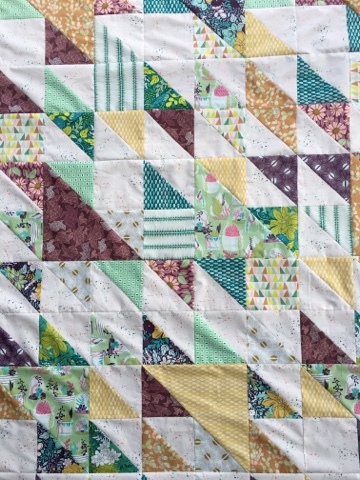 Many thanks to Natalie for inviting me to take part in this fun, collaborative project ... as well as to get me back here to the blog to take part in the tour. Want to get your hands on a fat quarter bundle of Hand Maker fabric, courtesy of Natalie Barnes and Windham Fabrics? (See, I told you she was generous!) 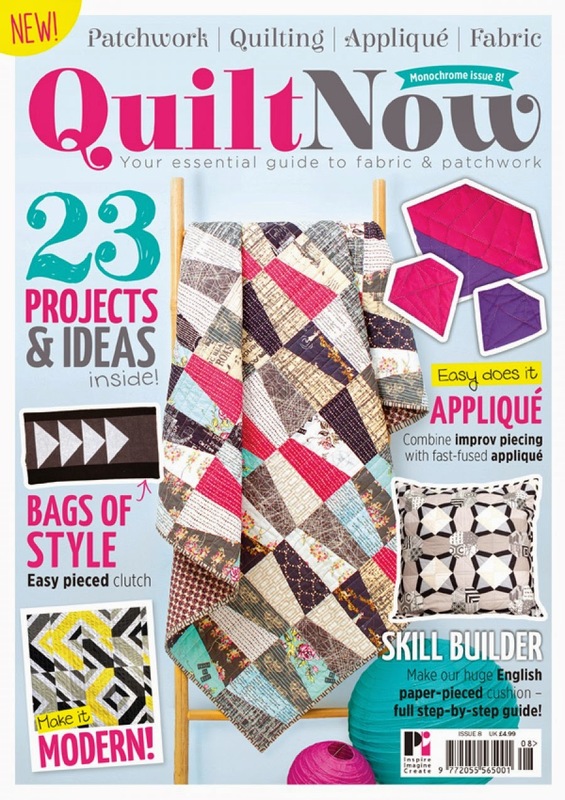 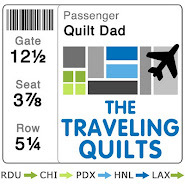 I'm excited to be able to give away a bundle to a randomly selected Quilt Dad reader. 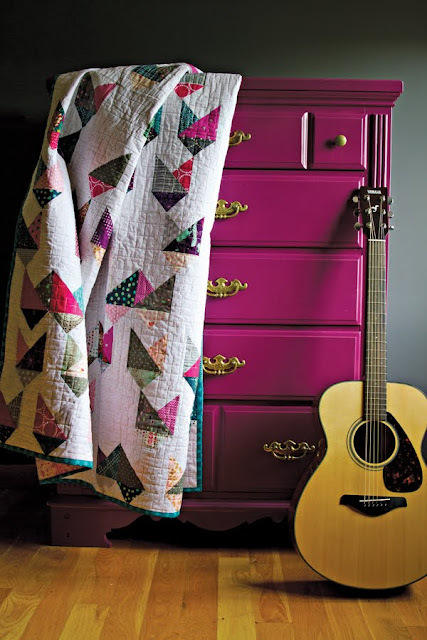 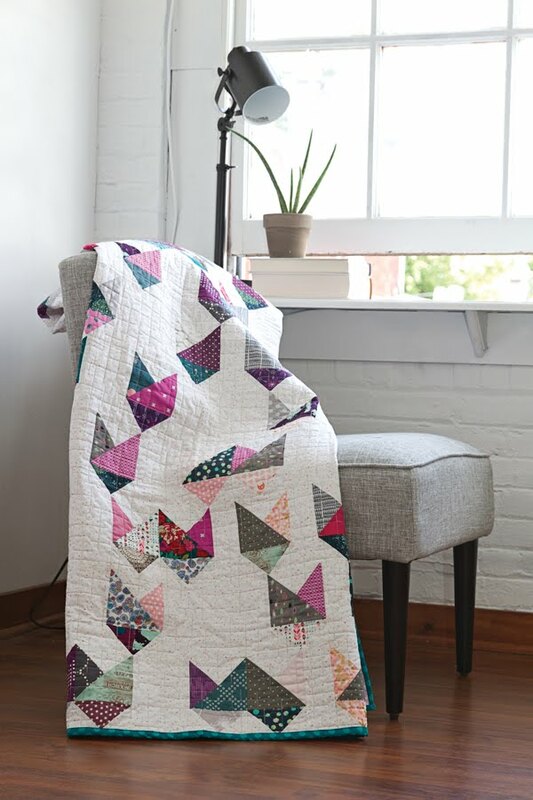 Simply leave a comment on this post and let me know your favorite quilt project that combined traditional and modern elements; either that you've made yourself or that you've admired from afar. Share your links for others to see! 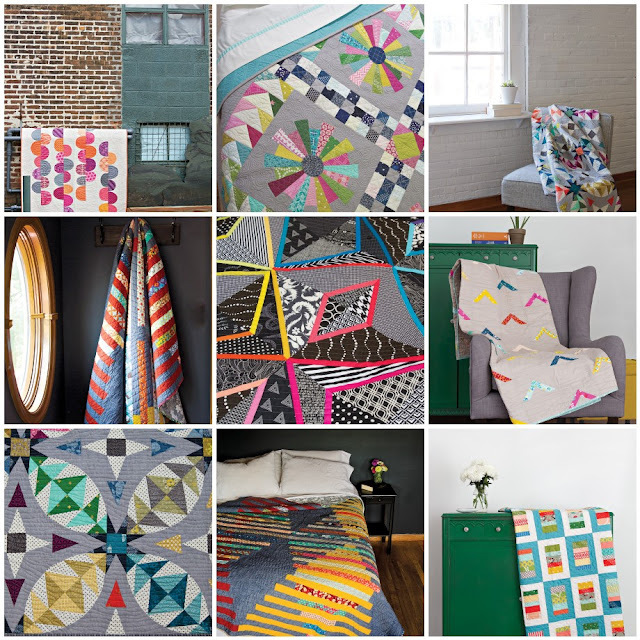 For more chances to win, and to hear the story behind each of these 9 special quilts, be sure to visit the other makers' blogs. 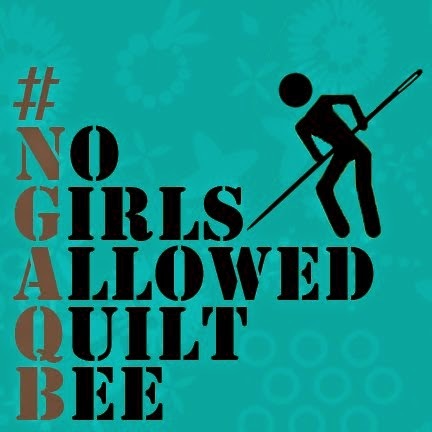 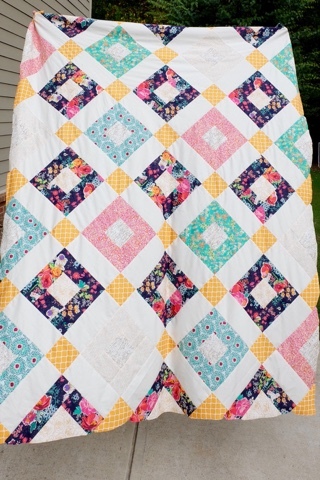 Today I am thrilled to share a quilt that will be displayed at Quilt Market this year. 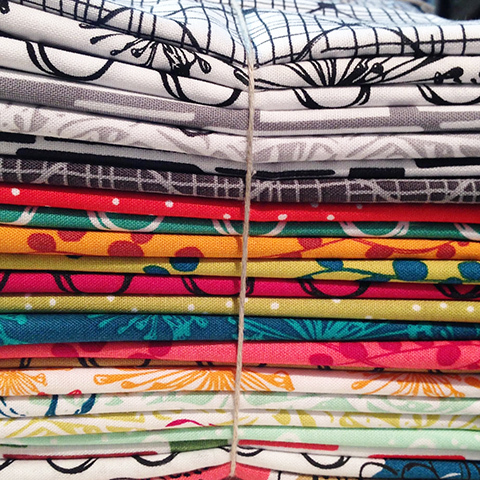 Whenever Carrie Bloomston asks me to work with one of her fabric collections, I can't resist. 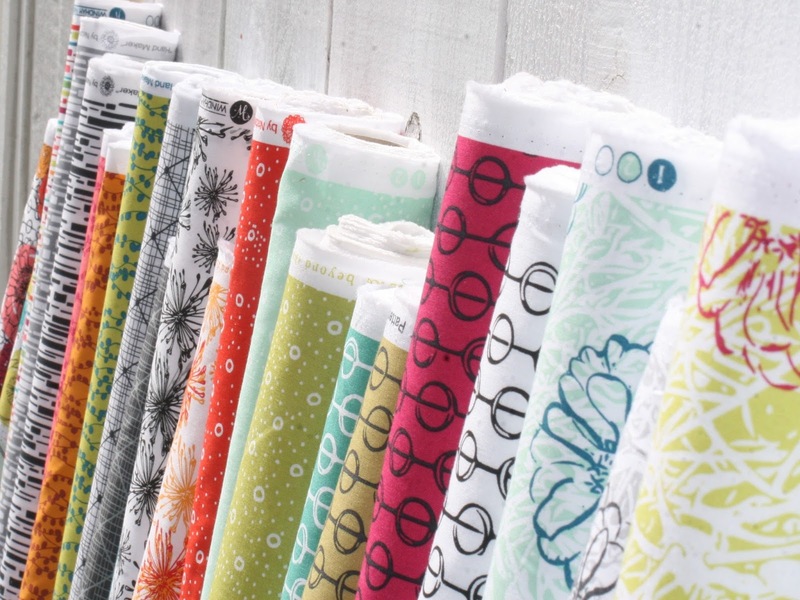 This year, Carrie is releasing a new line called Dreamer (with Windham Fabrics) and, after one peek at the beautiful prints -- the bees and the feathers, in particular -- I couldn't wait to get my hands on it. 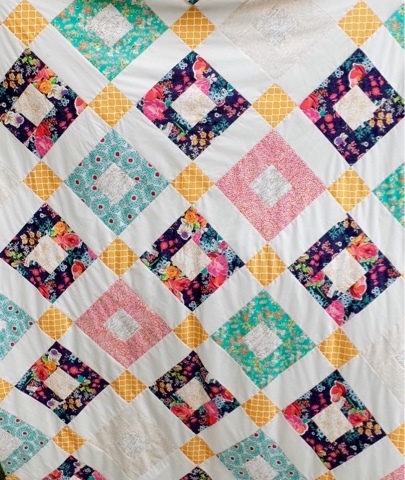 To showcase the prints, I made a large, square quilt from four oversized log cabin blocks. 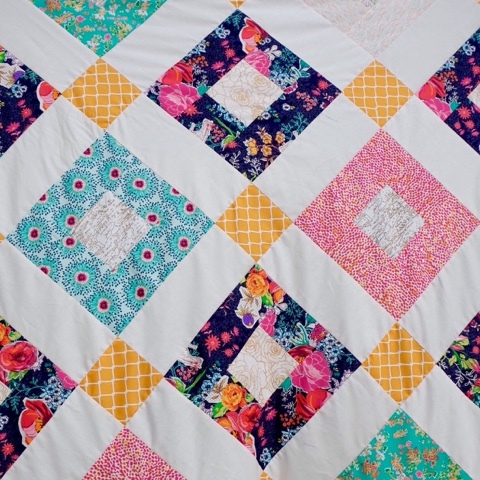 A nice, easy, meditative pattern that produces a big, comfy quilt is my favorite formula. 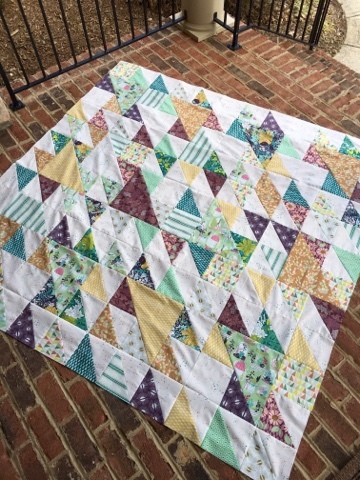 Interested in a free pattern for this one? 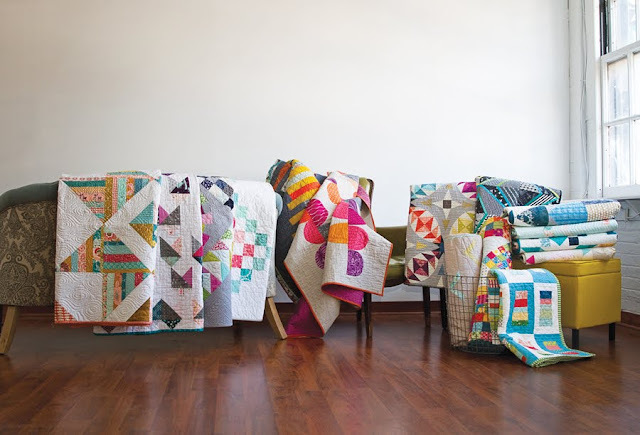 If there's interest, I'd be happy to type it up and post it here on the blog. 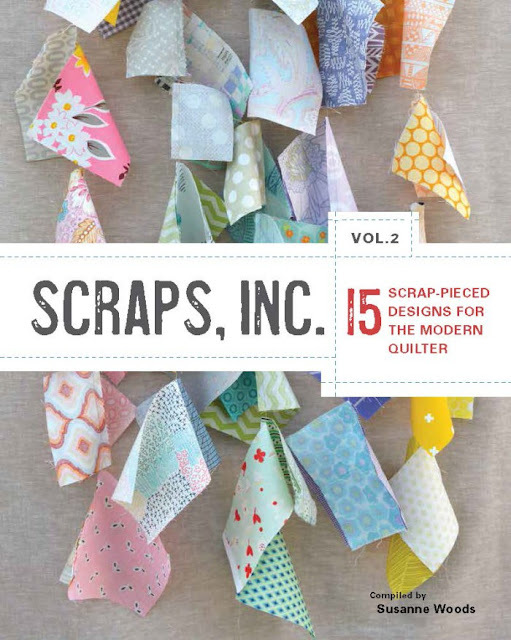 Carrie assembled an amazing team of talented sewists to make a variety of projects that unleash the potential of the collection. You can see them all in the Dreamer look book. 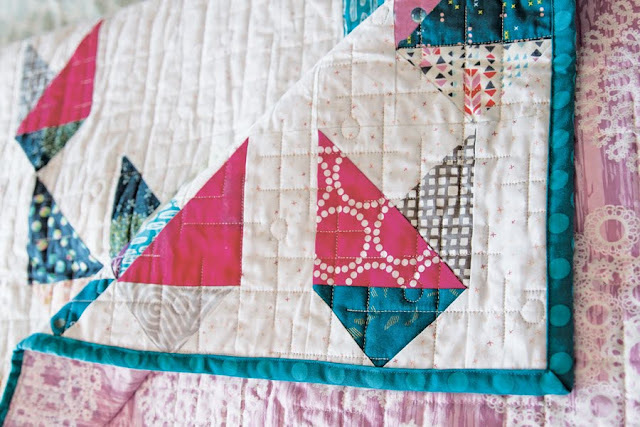 Want to get your hands on some early cuts of Dreamer? 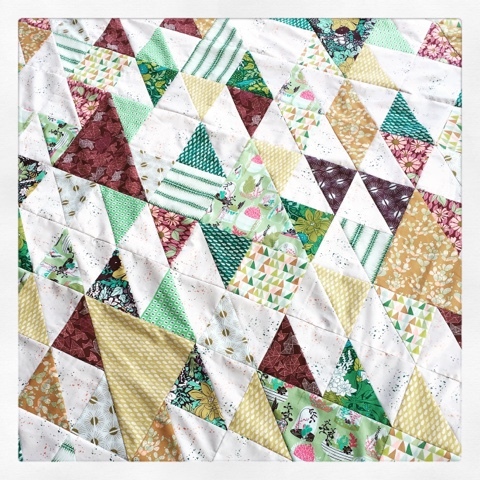 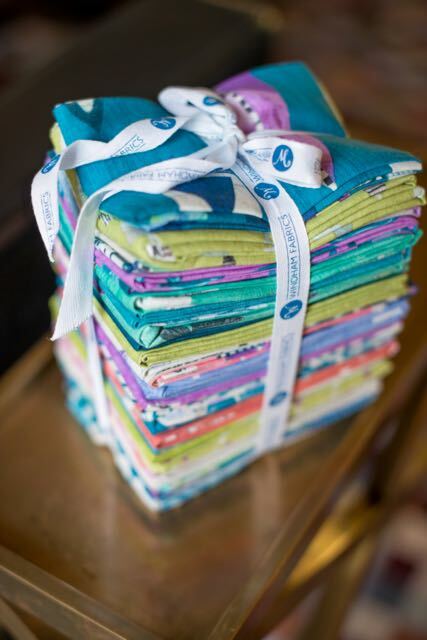 Enter to win this beautiful fat quarter bundle on Carrie's blog post here.